There's no monkey business with this adorable Jammin' Monkey charm by CHARM IT! This cute little 3-dimensional brown monkey is all smiles as it rocks out to its favorite music from the music player in its lap. 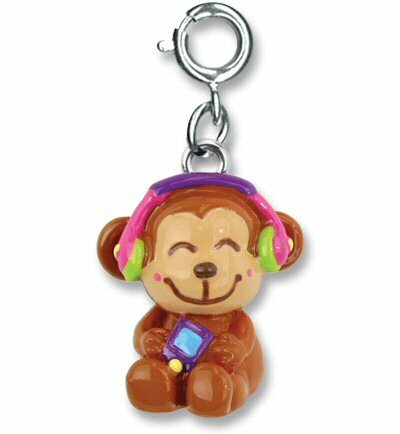 But rather than potentially bothering others, this sweet monkey wears some colorful headphones to keep its music under wraps. Easy to attach with a simple snap of a clasp, you can add a splash of music loving monkey business to your charm bracelets with this CHARM IT! Jammin' Monkey charm.